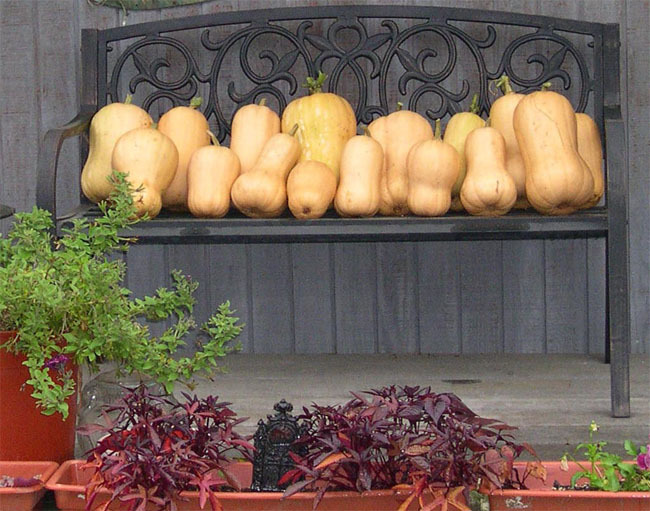 Organic gardener Richard Ellmyer makes prizewinning soup from butternut squash like these. Contest is Richard Ellmyer, a Portland organic gardener, with Buttery Buttered Nut Squash Soup. “The only challenge was to incorporate butter,” said Ellmyer, who prior to entering the contest had made butternut squash soup using stock, peanut butter, and various flavorings. “I decided to use a stick of butter. That would get everybody’s attention. Now, how much squash?” A five-pounder the gardener happened to have “looked just right.” What else could he do to impress the Dairy Farmers of Oregon and still make a good-tasting soup? “Two cups of milk, then more butter, sauteed with walnuts and spices and mixed into the soup at the end.” The judges were clearly impressed. If you would like to try the prizewinning recipe yourself, Ellmyer is happy to share. Put on baking sheet, cut side up. Cook at 400 for about 1 hour or until very tender. Peel and take out seeds when cooled. Process squash in food processor in 2 batches, adding half the milk and 1/2 stick of butter in each batch. Process until very smooth (about 2 minutes). Melt 1/2 stick of butter in a frying pan. When melted add the walnuts and curry. Stir and cook for 2 minutes. Add apples, stir and cook for 1 more minute. Stir in brown sugar and cinnamon, cook for 1 more minute. Be careful that butter does not burn. It will be browned a sticky, adhering to the crevices of the walnuts. Scoop squash into small bowls. Put a few spoonfuls of topping in each bowl. Monsanto, the multinational agricultural biotechnology corporation long reviled by organic farmers, environmentalists and conscientious foodies worldwide, has drawn more than the usual amount of rancor in recent months. While assailants are hoping the media blitzkrieg will prove as damaging to the company as they claim that its bioengineering and genetic modification practices are to the planet, that hope may prove optimistic in light of its cozy relationship with the United States federal government. 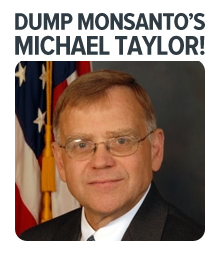 Efforts to diminish that relationship have led to the recent circulation of more than one petition calling for the dismissal of FDA Food Safety Czar, Michael Taylor, a former top Monsanto executive. One reason for the recent outrage is a perceived “crusade” by the FDA against small raw milk dairy farmers, many of whom are Amish, even as they overlook repeated violations by larger, industrial producers. CREDO, a publication of Working Assets, began a campaign in late January to educate and motivate consumers to sign a pledge beseeching President Obama to expel Taylor from the administration. CREDO believes that the FDA’s efforts would be better spent enforcing food safety regulations at the largest industrial producers, where it claims that “antibiotic resistance has run amuck,” rather than focusing so much of the administration’s efforts on sting operations to arrest small dairy farmers. The petition had garnered 151,160 signatures as of SuperBowl Sunday, 75 percent of its 200,000 goal. Another petition circulating on Twitter and Facebook had reached a total of 220,000 signatures by game time, far surpassing its original goal of 75,000. Written and circulated by Frederick Ravid, this petition includes a longer letter to the president, expressing opposition to the his administration’s appointment of Taylor three years ago. “Taylor is the same person who as a high-ranking official at the FDA in the 1990s promoted allowing genetically modified organisms into the U.S. food supply without undergoing a single test to determine their safety or risks,” reads the letter. “This is a travesty.” Pointing out that Taylor was in charge of policy regarding the widely-opposed bovine growth hormone and that he fought against the requirement for disclosures on milk from cows that had been treated with the hormone, Ravid goes on to decry Monsanto as a company directly threatening the health and well-being of US citizens. Reinforcing these concerns are WikiLeaks documents that surfaced last year implicating the Bush administration in questionable tactics used against countries in Europe to impel them to purchase Monsanto GMO products that they were resisting. 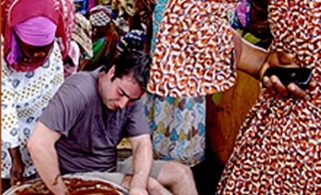 Other documents imply that the US government considered putting pressure on the Pope to come out in favor of GMO foods. If any such actions were taken, they have proven largely unsuccessful and Monsanto has been repeatedly thwarted in France, Germany and the UK. Additionally, lawsuits have been brought against the biotech giant by India and Canada for biopiracy and biocontamination, respectively; and a group of 270,000 American organic farmers are also suing the company for biocontamination. Ironically, the move is intended to protect these farmers against possible patent-infringement lawsuits brought by Monsanto over GMO seeds that have migrated to – and compromised – their lands. Remember those popular commercials dating back to the 1980s featuring a catchy jingle and an adorable terracotta figurine that grew sprouts known as a chia pet? Today, those same edible seeds that gained infamy in 80s pop culture are popping up on organic food blogs and healthy menus across the country. Packed with fiber, protein, phosphorus, manganese, calcium, and potassium- chia seeds are the new trending superfood claiming to boost your health. The seeds gained more popularity after being featured on “The Dr. Oz Show” as a major source of energy because they are high in fiber omega-3 fatty acids. Dr. Mehmet Oz endorses the food as a natural weight loss supplement for people over the age 50. He recommends a daily intake of 15 grams of these small, crunchy seeds to boost fiber levels in the body. After the age of 50, one’s metabolism starts to slow and excess pounds become more difficult to shed. One ounce of chia seeds account for 42 percent of one’s daily fiber intake based on a 2000 calorie diet. A high fiber diet allows one to feel more satiated and less likely to overeat, allowing easier weight loss. Some research indicates these seeds improve heart health, balance blood sugar levels, prevent diverticulitis, and the high amounts of antioxidants may delay skin aging. Yet these claims are not well supported scientifically, these studies often manifest inconclusive results and scientists remain in heavy debate about the actual health benefits of this food trend. In raw form, chia seeds are round, dark, and have a very neutral taste. There are many ways to incorporate them into meals such as adding them to salad, stir fry, soup, baked goods, or just eating them raw. When soaked in liquid, they develop a gelatinous quality that can thicken up a stew or porridge. 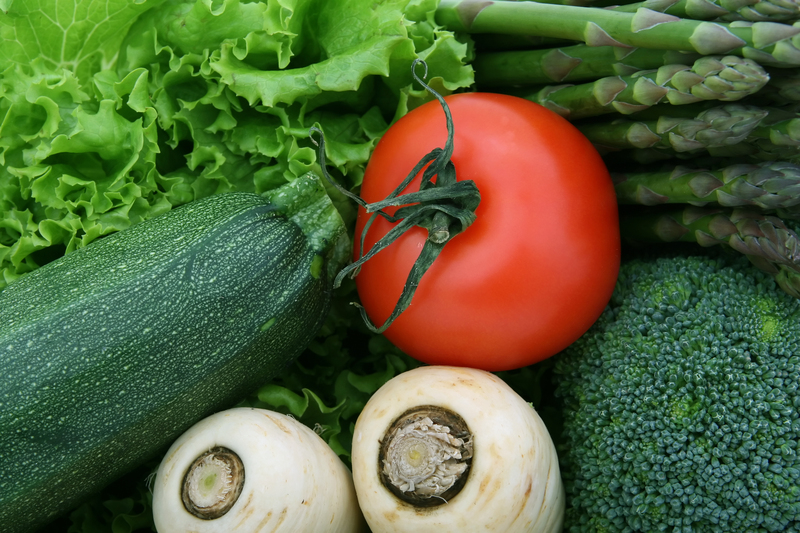 Vegan and vegetarian dieters are very keen on the seeds due to their nutritional value. Cooks have created a variety of interesting ways to utilize the seed unique liquid absorbing abilities. Those less adventurous eaters might opt for something basic like the easy overnight chia oatmeal, while those a little bit more daring may attempt a pumpkin pie chia pudding parfait. And stay tuned as our Buzzers get ready to post up the latest buzz on everything organic!